In August 2012, I posted a photo of my favourite lion in Venice (you can read about him here: http://capturingvenice.blogspot.com.au/2012/08/my-favourite-lion.html). The little guy lives at the Palazzo Cavalli-Franchetti at the base of the Accademia bridge (on the Campo Santo Stefano side of the bridge). 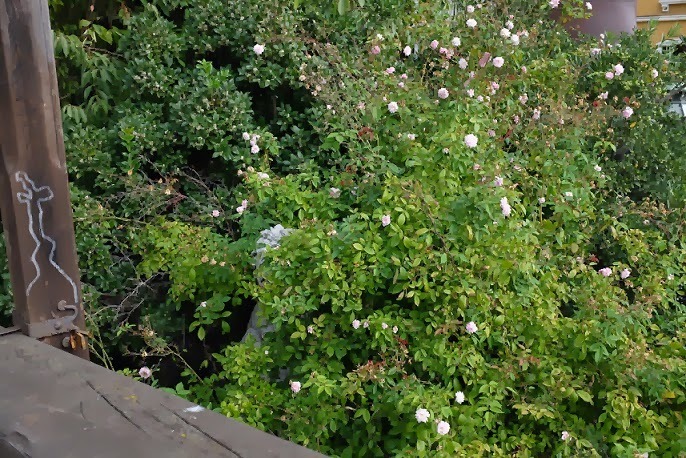 When I went back to see him this year (in October 2013), he was overgrown and barely visible. He is so tantalisingly close: it always feels like if I was a just a little bit taller or had longer arms, I could lean over the broad railing of the bridge to reach out and touch him. 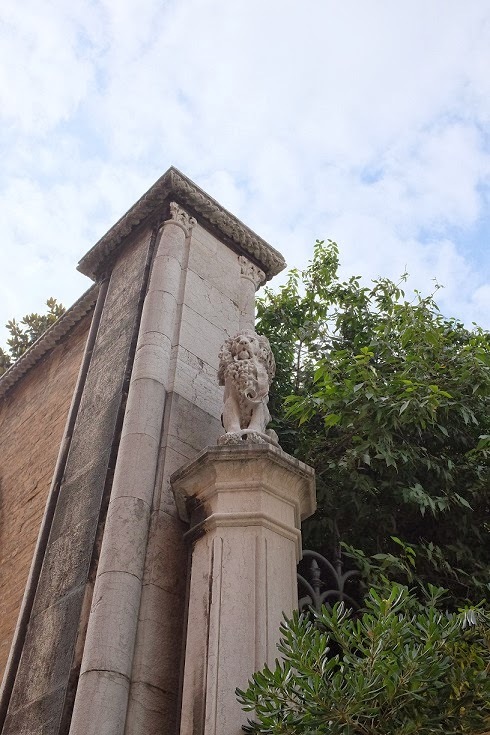 Here's a shot of a companion lion who lives around the corner on the Campo San Vidal side of the palazzo. I've taken a picture of your favourite (very overgrown) lion last week. I knew I had to watch among the trees when crossing the bridge, but I had forgotten on which blog I had seen that lion. This is the Venice I love, the one that reveals herself only for the slow travellers who take the time to discover her in all her sublime and simple beauty.